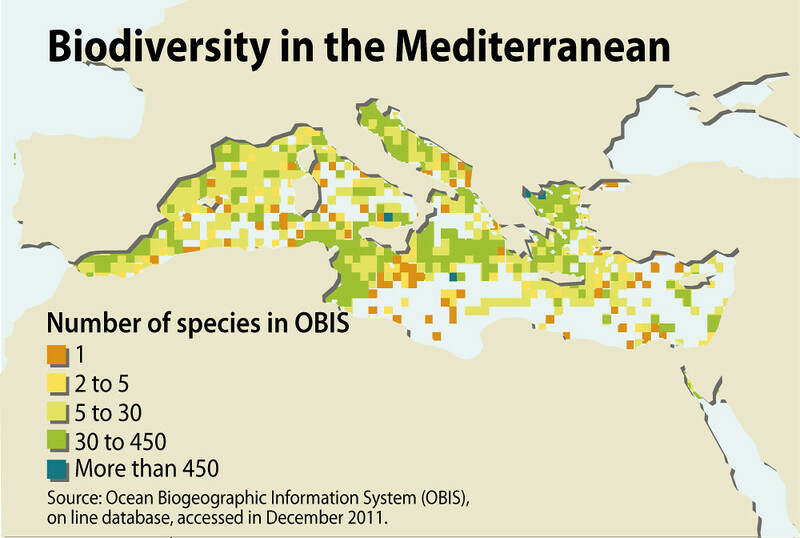 Species diversity in the Mediterranean Basin tends to increase from east to west with 43 % of known species occurring in the Eastern Mediterranean, 49 % in the Adriatic, and 87 % in the Western Mediterranean (UNEP/MAP 2012). 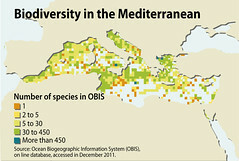 The Western Mediterranean also has more endemic species than other regions of the sea. In addition, its proximity to the Atlantic Ocean and its seasonal frontal and upwelling systems provide nutrients. The Western Basin also supports the greatest diversity of marine mammal, sea turtle and seabird life of the Mediterranean (UNEP/MAP 2012). The southeast corner of the Mediterranean, the Levant Basin, is the most biologically impoverished area. 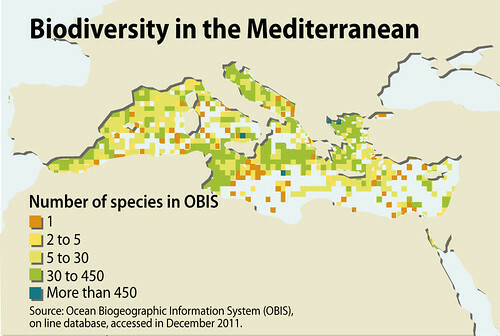 While there is an ecological basis for lower diversity in the Eastern Mediterranean, this area has also not been as well studied as other parts of the sea (UNEP/MAP 2012).